Elizah (pronounced Eh-leeza). Please advise if this is an islamic name. Is Jessenia an arabic name? Medina for girl. Is it permissble to give and what is the best spelling? 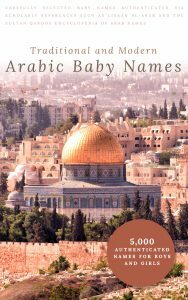 is Aarib an Islamic name ? what is the correct meaning of ” A’RAH ” in arabic name for girl..??? what is the correct meaning of " A'RAH " in arabic name for girl..?? ?